SPRING VALLEY, MN – May 3, 2013: You read it right race fans…for the first time in the history of the facility the season opener set for May 4th at Deer Creek Speedway has been cancelled because of snow. Over the last few days Mother Nature brought us almost twelve inches of snow which has forced us to yet again postpone the season opener. We will now open on Saturday, May 11th at 5:00p.m. Draw cut off and the pit meeting will take place at 4:30 at the scales. Teams are asked to arrive early to ensure the proper paperwork and pre-race inspections can be performed. Raceceivers and transponders will be required with a limited quantity available to rent. Pit passes are $25, adult grandstand tickets are $12 and kids 12 and under get in for FREE! 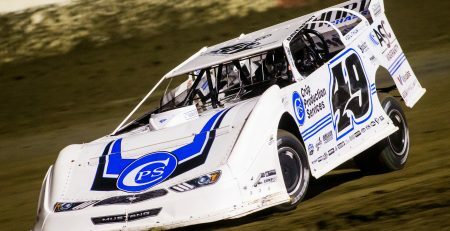 On the card for the event will be the WISSOTA Late Models, USRA Modifieds, WISSOTA Super Stocks, WISSOTA Midwest Mods, USRA B-Mods and the WISSOTA Street Stocks. 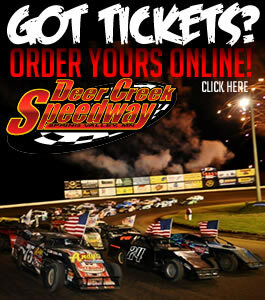 For more information visit us online at www.deercreekspeedway.com or “LIKE” our Facebook Page. You can also follow us on Twitter @DeerCreekSpeed (#TheCreek) or on our YouTube Channel.